But why does Paris, then, receive such extensive, emotional coverage when some of the other attacks actually had more victims? We relate to the victims more when we can see ourselves and our loved ones as similar, including notions of race, class, culture, and experience. Many of us have either traveled to Paris, hope to travel to Paris, or know people who have traveled to, or possibly even live in, Paris. Beyond specific links to Paris, most of us can imagine attending a concert, eating in an restaurant, or attending a major sporting event in a modern city (which we often erroneously envision as western European or North American). We are less likely to imagine ourselves or people whom we know in a Nigerian village, a Kenyan school, or a Beirut neighborhood (however cosmopolitan — unbeknownst to us, of course — it might be). 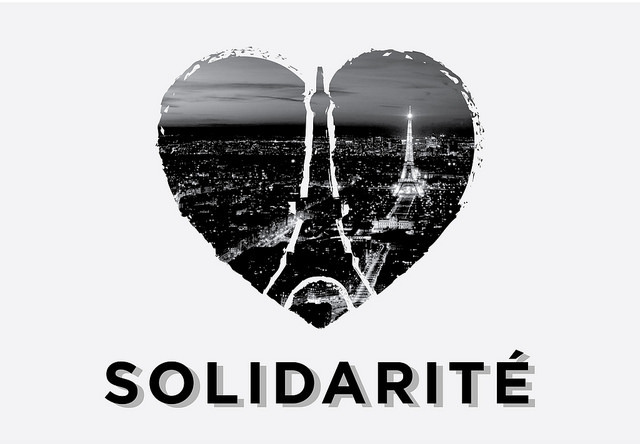 In other words, our response to Paris is largely about our own concerns with mortality and fear for our safety and the safety of those close to us rather than some abstract notion of human solidarity.